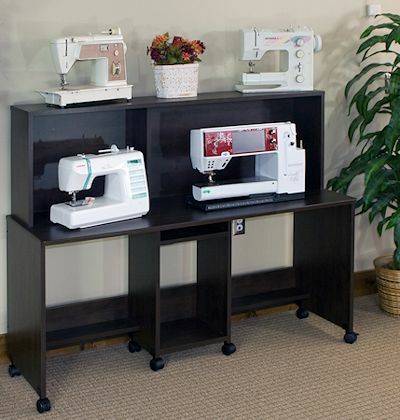 This is a new concept in display tables for sewing machines. Heavy duty it can hold up to seven machines depending on size. Buy 2 and get a 5% discount. 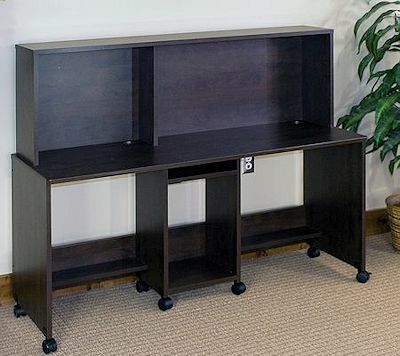 60" Wide x 19 1/4" Deep x 27" High. Top shelf adds 19" to height, total 46".